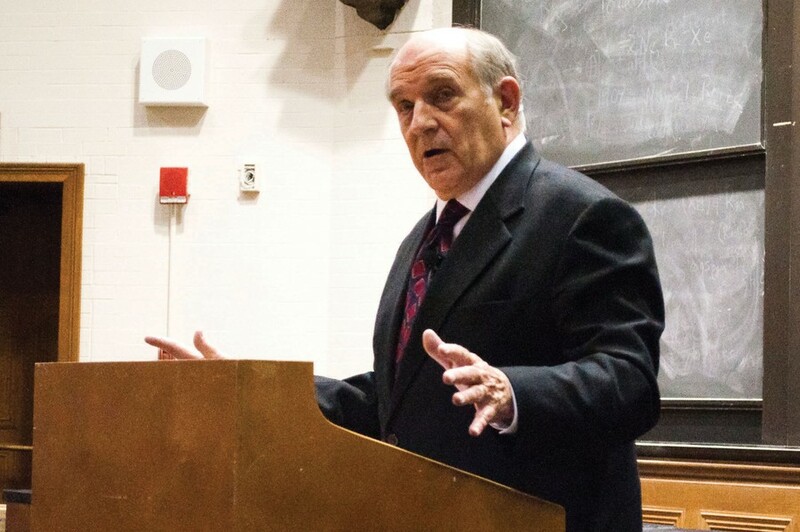 Conservative pundit Charles Murray, author of 1994’s The Bell Curve, took on the issue of class divisions within the nation’s white population, arguing that a new economic elite is growing increasingly detached from the experience of ordinary Americans, at a lecture in Kent Hall Wednesday night. The hook for the lecture was Murray’s recent book, Coming Apart: The State of White America 1960-2010, which traces the development of social classes in white America since 1960, drawing upon census data from the past 50 years to illustrate broad demographic trends. “In 1960, white America used to have a common civic culture, as the older people in the audience should remember. But young people have only ever seen white America divided, though it hasn’t always been that way,” Murray said. Using quintessential American towns as models, Murray showed the divide between “Belmonts” (upper middle class towns) and “Fishtowns” (working class towns) that has taken place over the past few decades. “While the Belmonts have held onto the core American values of industriousness, honesty, marital morality, and religiosity, the Fishtowns have not, and the results have been devastating,” he said. Major social problems like unemployment, divorce, and obesity disproportionately affect white America’s lower class, according to Murray, while there has been little social deterioration in the upper middle class. Murray blames the rise of what he calls the “new upper class,” an emergent social class of disproportionately wealthy elites which has grown since the 1960’s. Citing U of C’s campus as an example of a “new upper class” pocket, Murray explained the consequences of this trend. Murray is W. H. Brady Scholar at the American Enterprise Institute, a conservative think tank, and the author of many best-selling books. He drew criticism from liberals when he published The Bell Curve, which points to IQ as the best indicator of social class, income, and success rather than commonly cited factors such as race, gender, and social disadvantage. Counterpoint, a conservative campus publication, and the University Republicans sponsored the talk.